Award winning Wedding Planner and event organiser, Louise Bradley, proprietor of LyndyLoo In Spain has become the first Wedding Organiser to be able to offer couples the opportunity to have a legal wedding on the Southern Costa Blanca. Exclusively through ‘LyndyLoo In Spain’, for the first time couples can legally marry on the Southern Costa Blanca without worrying about residency requirements or Red Tape. It’s a perfect solution for both Spanish Residents and Non-Residents. No need to travel all the way to Gibraltar or have a civil ceremony in the UK beforehand; just pick a date, relax, and let Lyndyloo plan your perfect Wedding Day in Spain, for you. Louise Bradley and her team have spent over a year working closely with local authorities to ensure that all of the required permissions are now in place to allow couples to enjoy a dream wedding, on the beautiful Costa Blanca. This is the first time that a venue on the Southern Costa Blanca has been granted the authorization to perform a legal wedding outside of Traditional Town Hall premises. 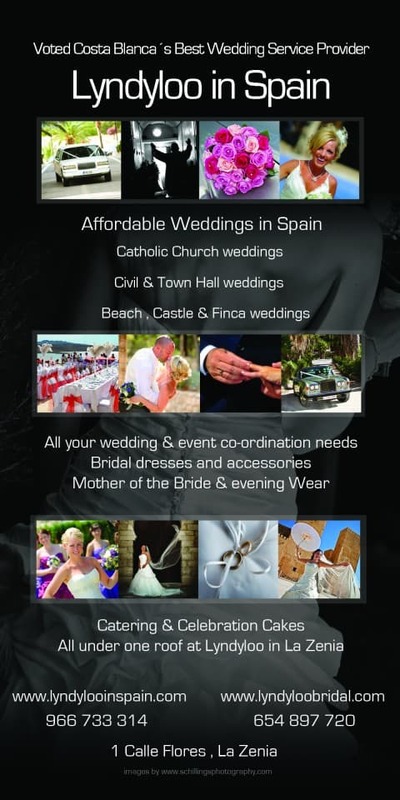 The consent for the wedding comes exclusively via Lyndyloo and they handle all of the paperwork through their shop in La Zenia or simply by email. It’s as simple as that! All paperwork is included within the costs of the wedding, which feature both a free night of accommodation at the venue and the hire fees. The venue can accommodate up to 400 guests in their beautiful garden setting and has five rooms available for guests to rent. It’s convenient to both Alicante and San Javier airports, is just 20-minutes from Torrevieja and offers an unforgettable setting for a fairy tale wedding day. All the paperwork is handed to Lyndyloo then they do all of the legal paperwork for you in order to obtain the legal license for your wedding. Time wise, it usually takes between four to six months for all of the paperwork to be authorized. 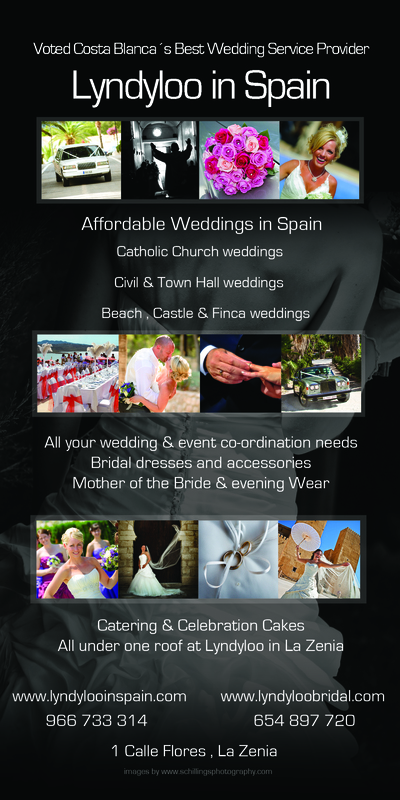 Louise can also help you with your choice of Photographer, Flowers, Cakes, Cars, Stationary, Gifts and all typical wedding services but most of all have the biggest selection of affordable wedding gowns here in the Costa Blanca. If you have been thinking of having your dream wedding in Spain, book now for your unique wedding experience and memories that will last forever and a day. 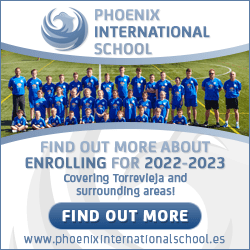 For more information please contact Louise Bradley – Lyndyloo in Spain, La Zenia, Orihuela Costa, Alicante. You will also get much useful information on the UK government site.